Your eyes will be immediately drawn to the golf course views as you walk into the pool area. From the foyer of this 4 bedroom 3 bathroom 2,567 sq ft Glenn Lakes Estates home you will love all the details. 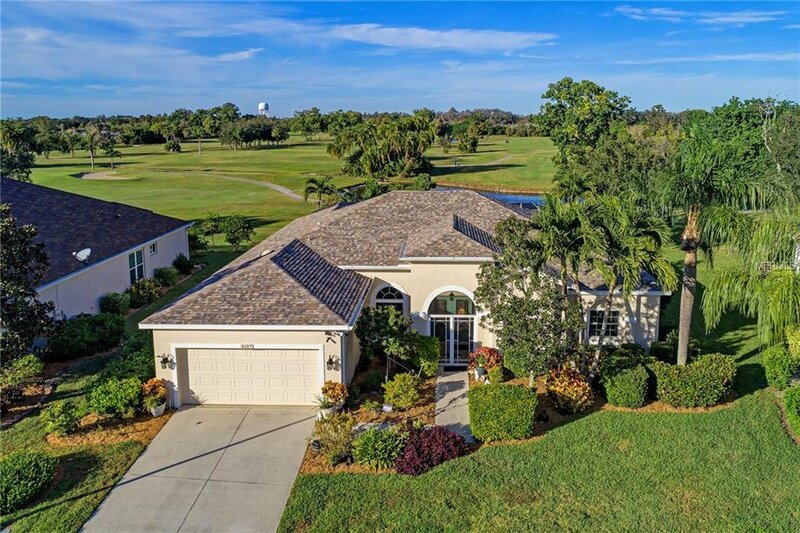 A rare find in this perfectly located community, you will be one of just a few homeowners who enjoy Florida living at its absolute best on the golf course. Wonderful curb appeal with Florida landscaping, and a screened entry to gorgeous glass French doors. The soaring ceilings provide plenty of natural light to the spacious formal living/dining room. The chef's dream kitchen includes rich 42" dark cherry cabinets, stainless steel appliances and Granite countertops. The breakfast sitting area looks out to the pool and water. The family room opens to the kitchen provides a great place to gather during family gatherings and has a gas fireplace. The Master bedroom suite includes a sitting area with sliding doors to the pool, two large walk-in closets, dual sinks, shower and separate jacuzzi tub. There 3 more bedrooms (one currently used as an office) and 2 more full bathrooms. Their list of upgrades include a heated and cooled salt water pool, impact windows with storm shutters, security system with cameras, whole home surge protection, and the exterior was just painted 6 months ago. The large covered area on the lanai is great as well as plenty of lounging space around the pool. Right across from IMG, a very short drive to our fabulous beaches and all the great things West Bradenton has to offer. Listing courtesy of KELLER WILLIAMS REALTY SELECT. Selling Office: COLDWELL BANKER.